"The staff was absolutely amazing." Have a question for The Racha? "Very nice villa, with infinity pool and facing the sea where you can have a good view of the sun setting." 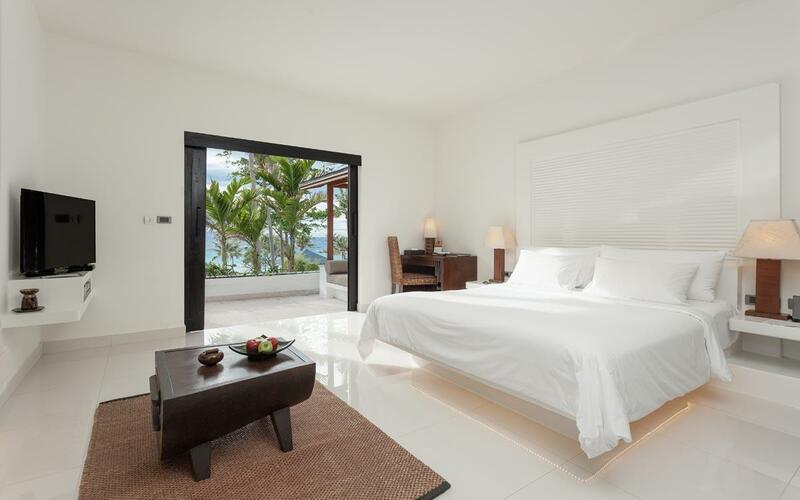 "The 2 bedroom pool villa is stunning spotless the beds and pillows the best of the best." "All facilities and supplies can be said as marvelous!" 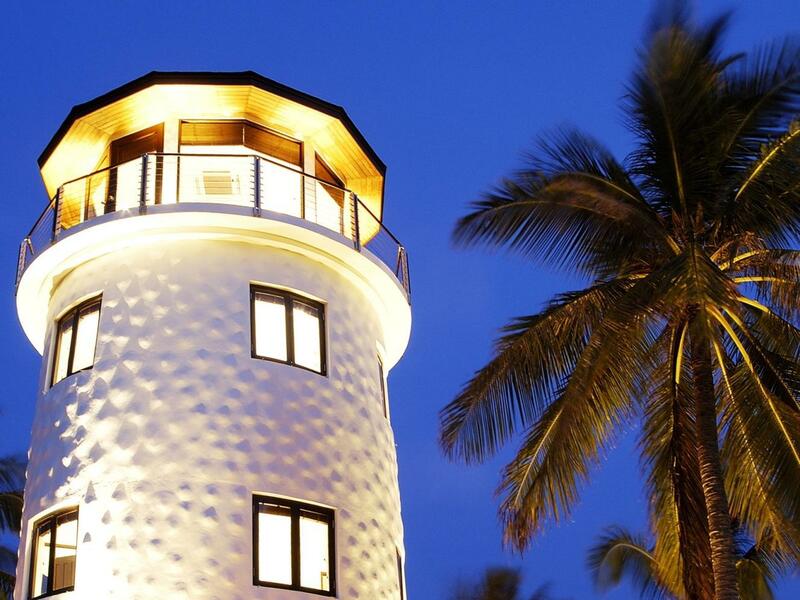 The Racha is set on Batok Beach on Racha Yai Island, 12 miles south of Phuket. The hotel is recognized as a leader of environmentally sustainable tourism and offers 85 well-appointed villas with private terraces. 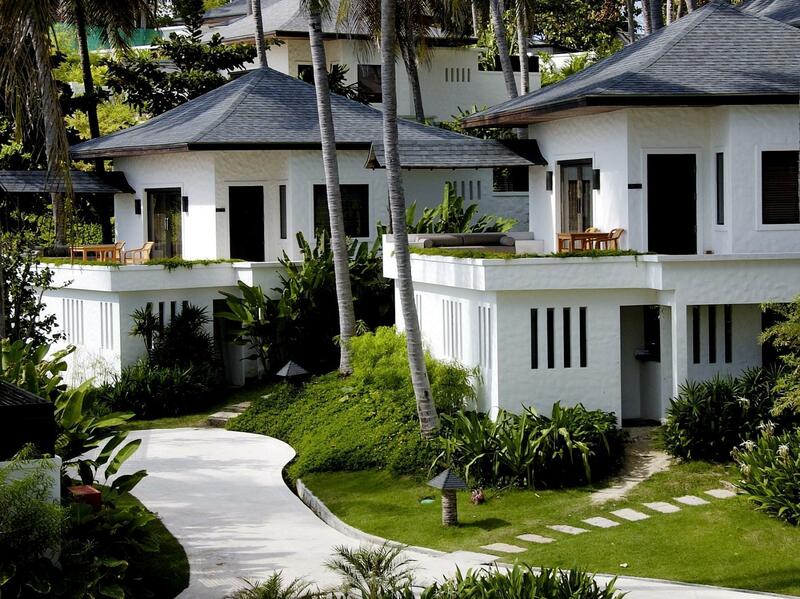 Dining options at the Racha Hotel include the Earth Cafe with an outdoor terrace area, the Fire Grill restaurant for daytime pizza and pasta on the terrace, and fine dining at night. There's also the Ice Bar for drinks and the Sunset Beach Restaurant that serves fresh barbequed seafood and steaks right by the shores of the Andaman Sea. Guests can indulge themselves at the Anumba Spa Treatment, meditate at the Meditation Lane, or exercise at the Balance Fitness gym. 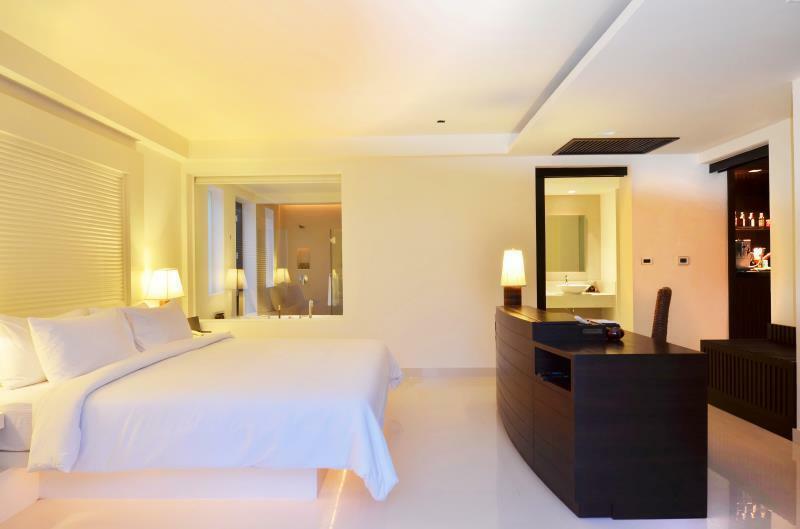 The Racha's hospitality and state-of-the-art facilities ensure that all guests will have an enjoyable stay. "We are 2 adults with 2 children 5 years old + Room is big ,..."
Late check-out is available until 04:00 PM at an additional charge and subject to availability. Guests are required to use the boat transfer service to reach the property (surcharges may apply). Guests are required to inform the property in advance of their estimated time of arrival. There is no discount for one-way airport transfer. Guests staying more than 5 nights will be provided round trip boat transfer at no additional charge, and round trip airport transfer at a 50% discounted price. Discounted price is not applicable to one way airport transfer. Guests staying more than 7 nights will be provided round trip boat transfer and round trip airport transfer at no additional charge. Children 4 – 12 years old will be charged THB 1,235.85 when using existing bedding. The boat transfer is compulsory and guests will be charged directly at the property upon arrival. The property will cancel the boat transfer service if there is a slightest safety concern due to strong winds or uncertain sea conditions. Every effort will be made by the property’s land-based staff to assist in making alternative arrangements for guests until the situation is considered safe. Beautiful island- so picturesque! The water is just paradise. The hotel is beyond comparison: the room was stunning- we upgraded to the Junior Spa Suite and it was like a palace. The service was exceptional, the staff warm and welcoming and the breakfast had an incredible range of options. We will definitely be back as it was a dream location. The only unfortunate aspect of the location is that the island is the drop off spot for hundreds of day trip tour companies and so from the hours of 10-4pm, the beach is packed with all nationalities, mostly Chinese and Russian day-trippers from Phuket. I fully understand the desire to visit as it is a paradise location, and the hotel does have a strict policy of not allowing the visitors to use the facilities, although a few snuck in whilst we were there, as the jumped up over the wall, near the sunbeds. All in all, I would highly recommend the hotel, it truly is a beautiful location and although the food is somewhat overpriced, we loved it! Highly recommended. Very nice villa, with infinity pool and facing the sea where you can have a good view of the sun setting. Definitely a good choice if you would like a quieter beach as it takes 40 mins ride by speedboat to The Racha, costing 2400 thai baht approximate. The food is great too and beyond my expectation. The only complaint is the high cost of the speedboat. 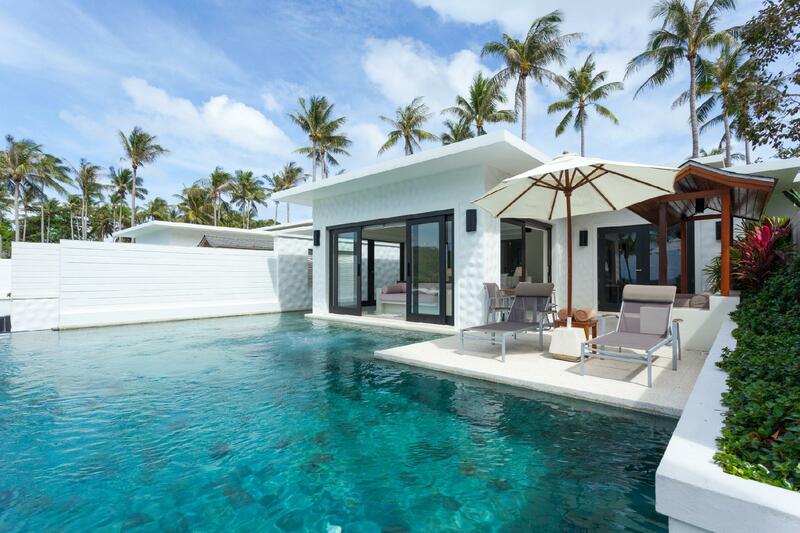 My girlfriend and I stayed in the "The Racha" for 5 days in December 2018. The experience was nothing less than stellar. This is the perfect stay for people that just need to relax a bit and get away from their daily stress. We loved the exceptional service, the location and the hotel facilities. While we had no problem and loved our stay, we can image some might would like to know about more about the negative aspects: - There are lots of daily visitors (mostly Chinese) that occupy the beach from 10 AM to 4 PM. If you expect a empty beach you will be disappointed. However, Hotel offers you a private area of the beach which was for us good enough. - This is a hotel for relaxation and activities, not for party. If you looking for a experience that has huge party entertainment...this is not the place to look for. One of the best resorts I’ve been too. There are only two negatives well maybe a third of you can’t handle the speed boat trip in and out. The price is a bit expensive. But you get what you pay for. 5 stars. The other negative is the shantyish typical Thai style on the way from the boat to the resort. Otherwise everything was awesome. We had an enjoyable stay at the Racha. Smooth transfer and check-in. Loved the outdoor shower area, free flow of water in the room and the fact that the main pool does not allow kids. Wish the beach was less crowded during daytime, I have been to this beach a few years ago and could barely see a few umbrellas, compared to nowadays it’s a big big difference. A surprise for my daughters 30th birthday the staff helped me decorate with ballons ect that i took with me. Nothing is too much trouble for them. 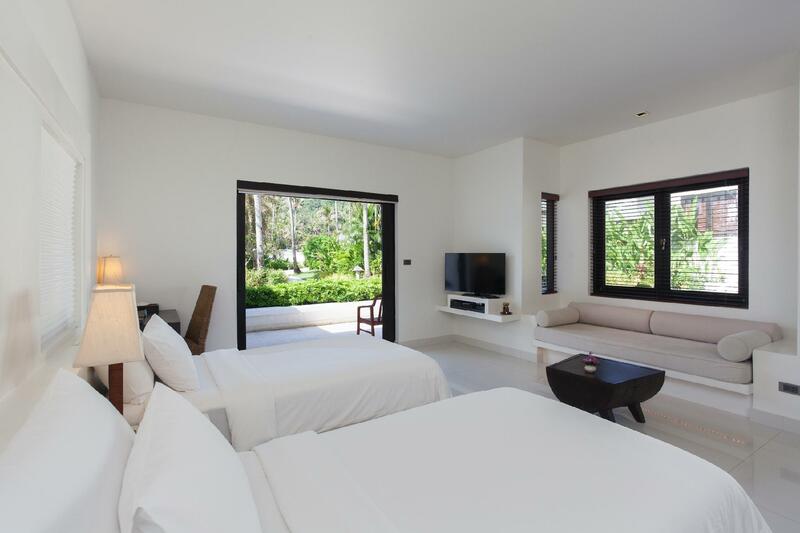 The 2 bedroom pool villa is stunning spotless the beds and pillows the best of the best. The beach is to die for it really is paradise on earth. I wish we could have stayed longer the only con is the cost of the speed boat which is compulsory for four of us it was almost $400 Aud return. The fact that this is rated 5 stars, and so are so many other places makes it ridiculous. This hotel is absolutely amazing. We stayed in a Junior Pool Suite, it wasn't cheap but it was worth it. On every level they exceeded every expectation. I have stayed in a lot of 5 star hotels, but The Racha just blew me away. I would absolutely recommend this hotel to my friends and family and I will definitely return in future! Hopefully sometime this year, for longer. I also highly recommend the seafood buffet dinner. It was over the top! Beautiful setting. The staff was absolutely amazing., kind, courteous, patient, and very genuine. The pools were clean and perfectly cared for. If I had to send a word of caution, the 1000 BTH per person for the boat ride, each way seemed a bit extreme, however, the charge is compulsory and any other way to get there. Is eliminated. The beach is busy during the day with outside tourists, however, the hotel property is secluded from them. Certainly would recommend, and would definitely return. 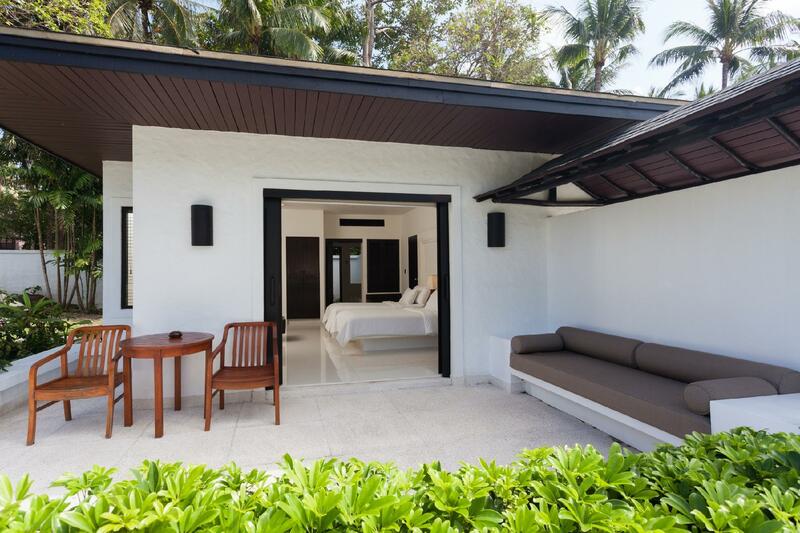 This resort is located on a prime location on an isolated beach 40 mins away from Chalong Pier where guests will be whisked off by a private speedboat to the resort. Truly a private affair and experience. However do note that we paid $400 US dollars per night for the Grand Deluxe Villa which was a a tad overpriced. With that kind of rates, anyone could easily get a 5* hotel in Patong beach. The Racha is definitely 5* in terms of service, quality and staffing. Your requests are always met with a smile and promptly. Villa is always clean and amenities always replenished daily. Food is also pricey and not worth the money spent. Breakfast is the same each day with little variety. Highly recommended to take the speedboat out to Chalong for food, groceries and massages which is much cheaper. During the day, the beach is filled with tourists and day trippers. We got bitten by jellyfish near the rocks so have to be extra careful. Good to stay and experience once but will not return again. Very friendly & attentive staff. Resort is just one of 4 or 5 to choose from on this small island, but with this particular resort being in the most ideal location, but very expensive in comparison to the others. Food was amazing, but closed far too early, around 8.30/9pm each evening. Room service was still available however, so we brought our meal out with us to eat poolside. Would come back to this island, but would save a small fortune and happily stay at any of the others available. Very well trained staffs, they are all nice, smiling and helpful, indeed a beautiful place with well maintenance and super beach. Even-though the beach is quite crowed during the day due to day-trip visitors but it wasn't bother us because we have our private seats and area. There are many activities for guest to enjoy for free but the center is closed a little too early (6PM). The overall are great and worth. we will definitely come back. Good environment and beach landscape. it is good time to provide hotel guests with private beach to swimming during Morning and evening. Tourists outside for one day touring will arrive at noon, so strong sunshine is prepared to them. This is reason why hotel guests speading their money in this hotel.